5 Bedroom House For Sale in for Guide Price £1,750,000. A glorious kitchen/breakfast room refitted be John Lewis in Hungerford, a master Bedroom Suite that encompasses half the floor area on the first floor, a stunning en suite bathroom with turret aspect and the fully fitted dressing room run from the bedroom, a guest suite with ensuite bathroom, three further bedrooms and a separate family shower room. The current service charges are: £1,600 annual share of building insurance £250 & annual share of general upkeep of the common areas. Hitcham House has an ideal situation, being within commutable distance from central London and Heathrow airport. The area's excellent communication links include regular rail connections to London (Paddington) from Burnham, with connections to Marylebone (from 32 minutes) available from Beaconsfield and Gerrards Cross train stations. The M40 is about five miles away, whilst junction 7 of the M4 is merely two miles away, affording easy access to the M25, M3 and Heathrow airport. Everyday amenities can be found at Burnham or Taplow village about 1.2 miles away, whilst more comprehensive facilities are available in nearby Beaconsfield, Maidenhead and Windsor. Sport and leisure facilities can be found nearby; there are leisure centres at Cliveden and the Burnham Beeches Hotel and the area boasts a number of golf clubs, including Burnham Beeches. Racing is at Ascot, Windsor and Kempton Park and rowing in the fashionable riverside towns of Henley and Marlow. Buckinghamshire continues to be known for its choice and high standard of schooling, both state and private, since the county is one of the last to maintain the traditional grammar school system. 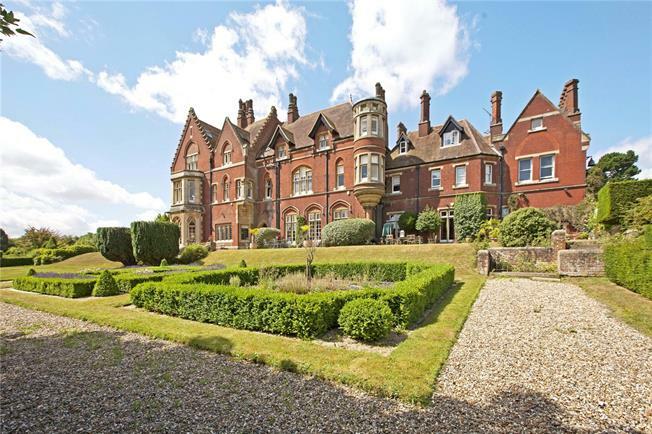 Nearby private schools include Davenies, Dair House, Caldicott, The Beacon, Gayhurst, High March, Kingscote, Maltman's Green, St Mary's and Thorpe House. Eton and Harrow colleges are about 7.5 and 19 miles away respectively.